Safari Lodge is a luxurious all-suite lodge in the traditional style snuggling into the bush underneath a canopy of ancient trees on the banks of the dry Mabrak riverbed. 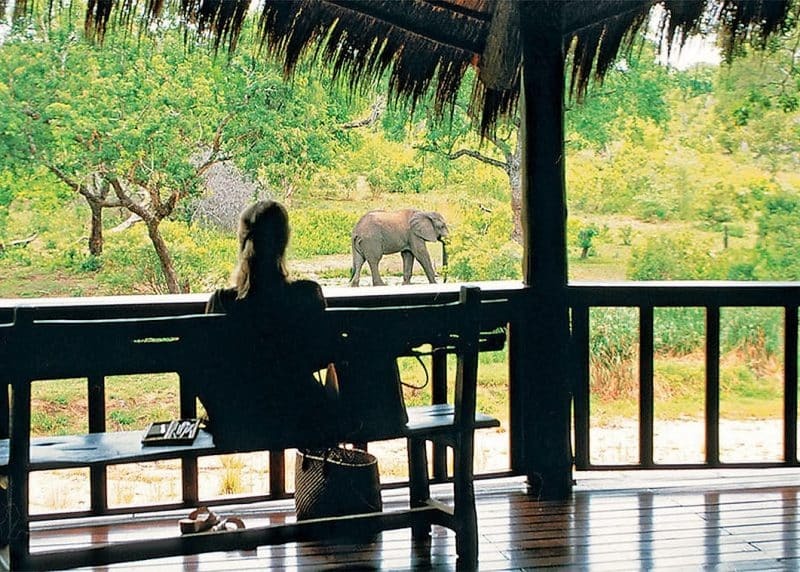 The rooms offer great sightings as game strolls to the lodge’s waterhole. 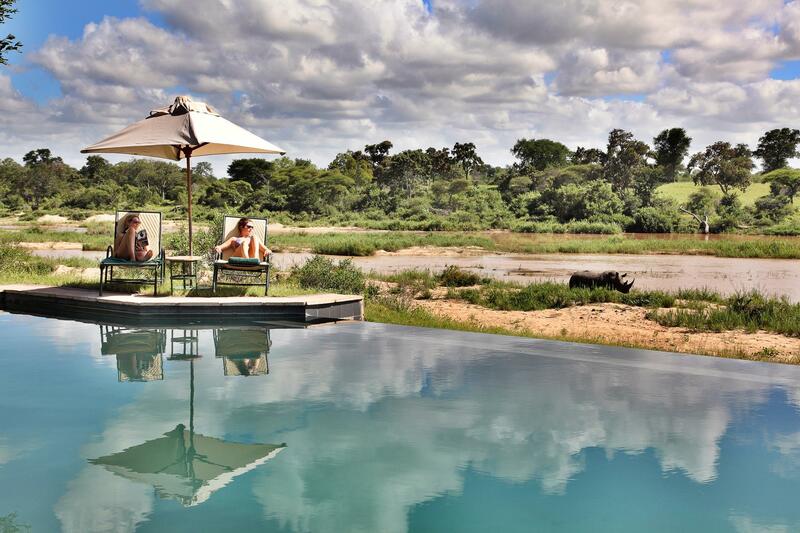 Game viewing is excellent and traversing includes the Sand River in the north of the property which acts as a magnet for game. 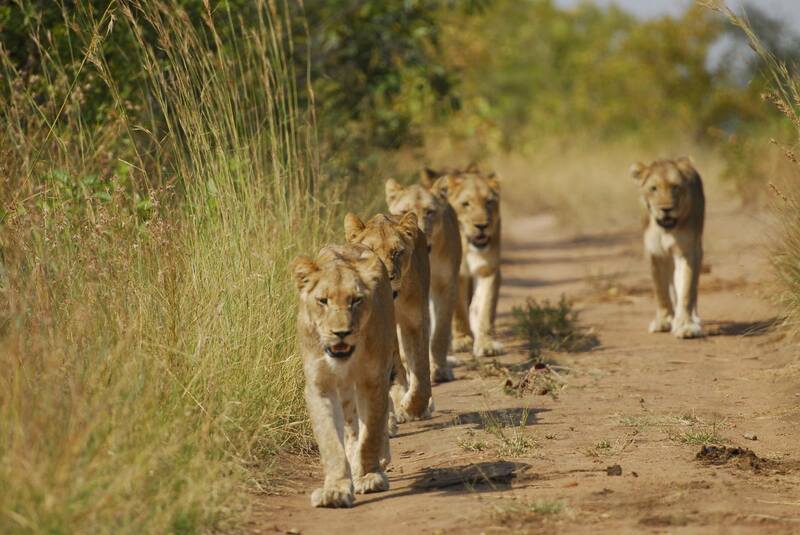 Morning safari walks are very good, with an eye open for the Big Five whilst exploring the small things in the bush. 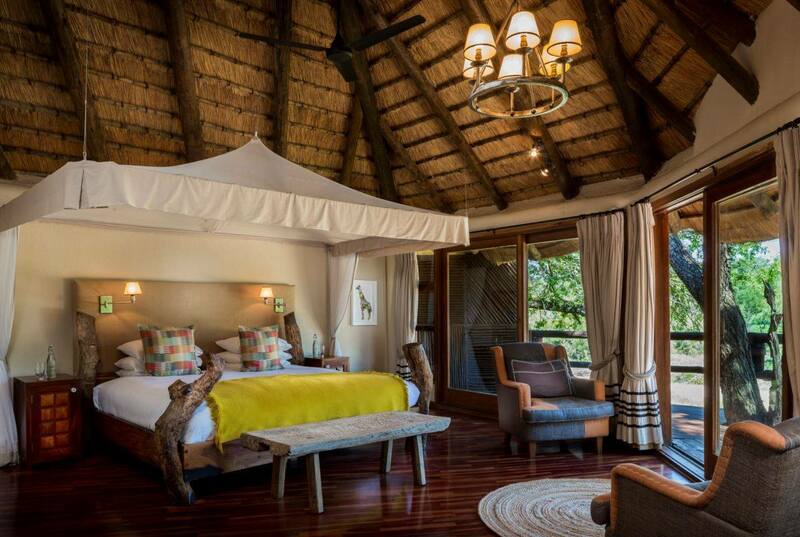 There are eleven rooms at the main Safari Lodge, of three types. 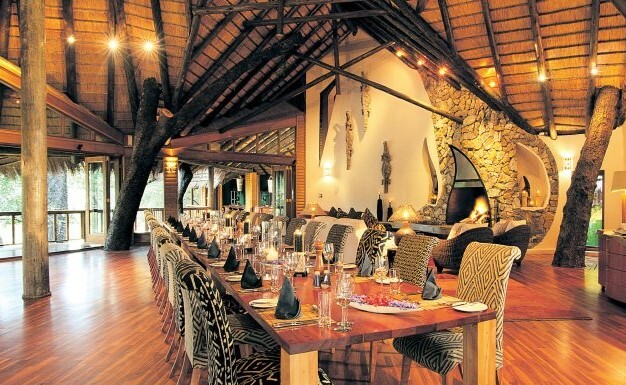 There are also three Safari Rooms close to the main Lodge with large viewing decks overlooking the waterhole and riverbed. All are en-suite, and as they are next to each other, well-suited to families or groups. 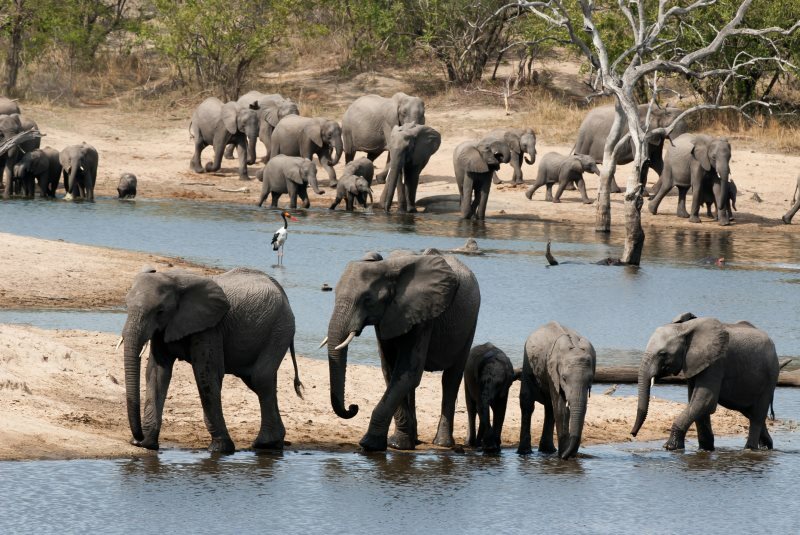 There are three Elephant Rooms which overlook a well-used game path which the pachyderms frequent. 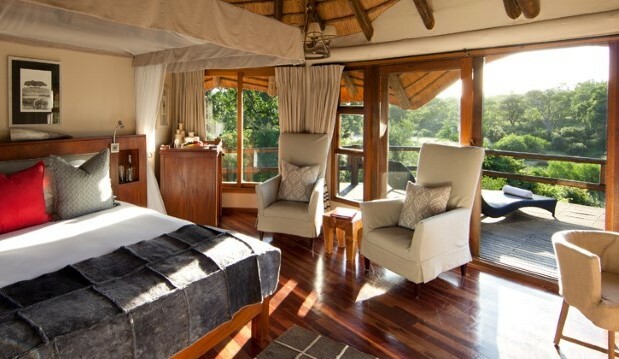 Built tree-house style high above the bush, they have en-suite bathrooms and large viewing decks offering stunning views over the bush. They are close together and good for friends travelling together or families with teens wishing to be close to their parents. Rope bridges draw the lodge together and connect more suites further along the banks of the river. 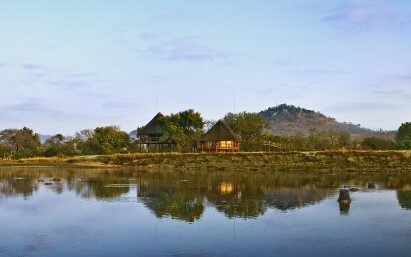 Three of four River Rooms are accessed by swing bridge a short walk from the main Lodge. Two have their own plunge pools. All are secluded and tucked between jackalberry trees. 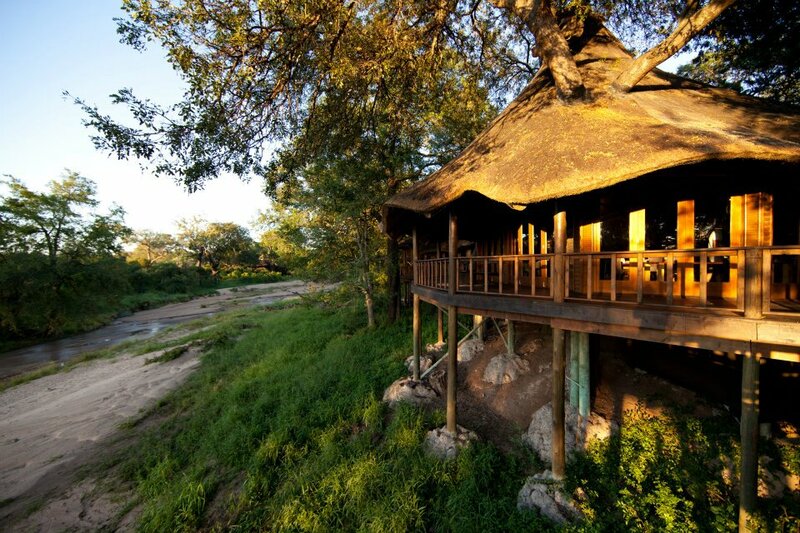 Spacious, with outdoor seating and striking riverbed views, they are ideal for a romantic getaway. 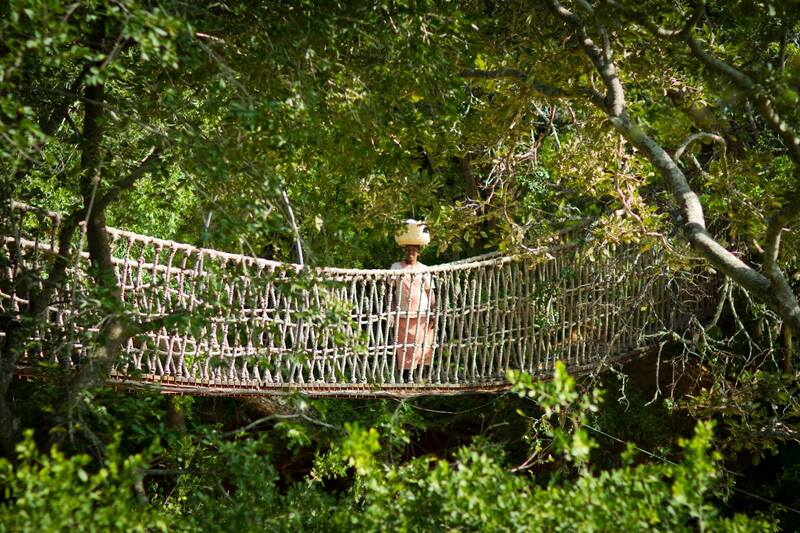 The spacious and secluded Treehouse Suite overlooks the nearby Xikwenga Dam. It has a private spectacular view. Popular with photographers, birders, and Honeymooners, it is ten minutes walk from the main lodge. Eat and sleep on the deck. The spirit of the founder entrepreneur Richard Branson’s Virgin group is apparent in the creature comforts and service. Food is excellent as is the range of wines in the cellar. Over-6 year olds can join drives. 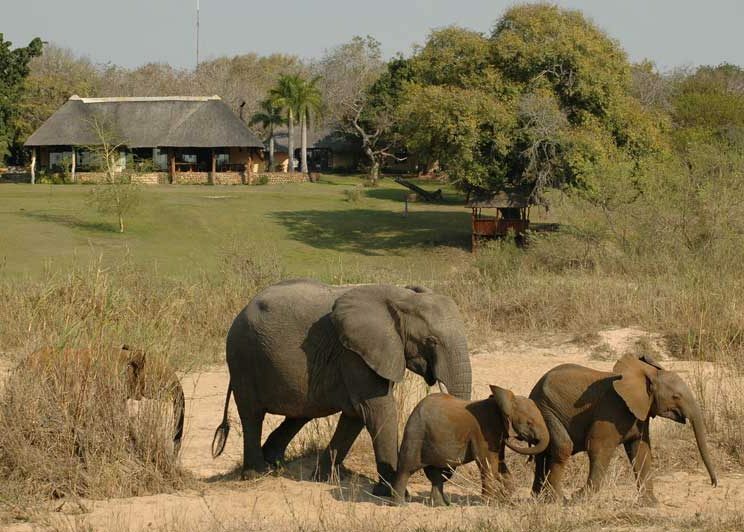 Under-12s have a Cub’s Club offering a mini-Ranger’s course, tracking animals by spoor, and safari walks around the lodge to spot birds, insects, lizards and the small critters.